Fall in love at first sight with this arrangement! 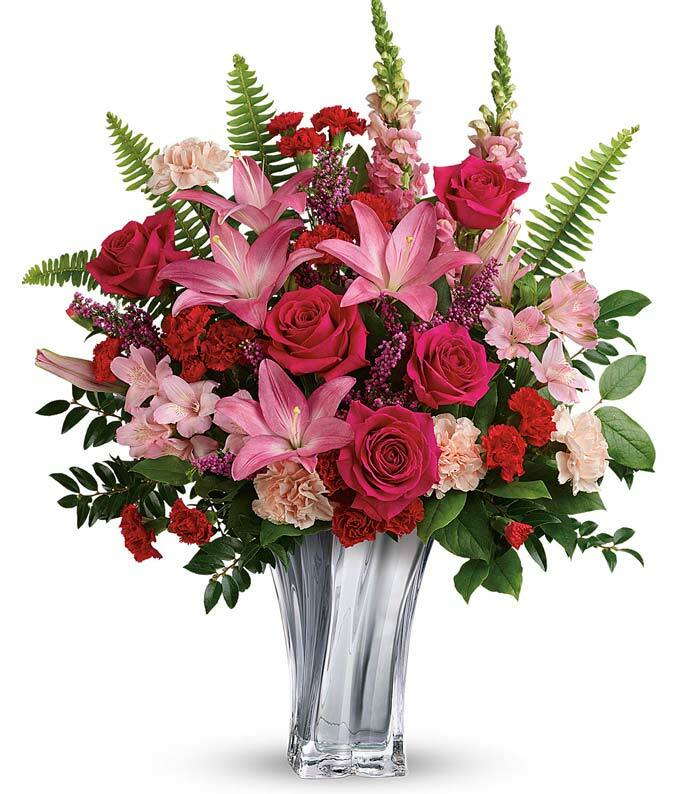 Your recipient is sure to be love struck when stunning display is hand delivered to your recipient's door by a preferred local florist! Approximate arrangement Height 21", Length 26"